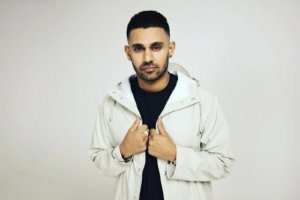 Jaz Dhami is a singer, music composer, music producer and performer who was born in Punjab, India, and grew up in Birmingham, England. He began his music career at the age of 9, when he started taking tutorials in Indian classical training and has been in the Urban Desi music industry for the last 10 years. It was not until 2012, when he collaborated with Yo Yo Honey Singh for the song “High Heels,” that he truly realized that he is going to make it big in the music industry. In an exclusive interview with ITV Gold, in New York, Dhami talked about his career and what it means to be a South Asian artist, representing the diaspora outside of India. Dhami explained how there was a lot of negativity during the first week after the song came out but then it became such a hit that it was recreated for the film “Ki & Ka” in 2016, starring Arjun Kapoor and Kareena Kapoor. Dhami told ITV Gold that he was very thankful for this opportunity especially since he is a huge Kareena Kapoor fan. “I always wanted to do Bollywood music. I used to just sing Hindi songs and classical raags that was my thing. Punjabi was something that I wanted to do but I didn’t want to get too into it,” Dhami told ITV Gold, adding that it is his dream to work in Bollywood, like any others’. He added: “I feel like I am flying that flag for British Punjabis. In our society, when someone tries to become a musician, there is a lot of negativity that is associated with it because we are convinced that it is not the right path to take career wise,” he added. Dhami recently collaborated with Stevie Wonder for BBC, in which he got to sing with a 72-piece orchestra and was proud to be the first South Asian-origin artist to do so. Dhami has been jamming in the Urban Desi music industry, something that he says is being more accepted internationally now though he really wants to bring his talent to the Bollywood music industry. “There is no inspiration left in Bollywood and that is why people are turning to independent musicians in the South Asian diaspora. While I myself have been inspired by the songs from the 90’s, 80’s and 70’s, I feel like artists are being pushed into a corner and forced to re-make these songs. There is no creativity left in the industry,” Dhami said, adding that it is sad to see this happen in an industry full of such talented people.